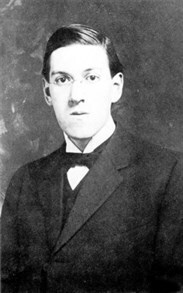 Lovecraft was born in the USA in 1890 but had a difficult childhood because his father went mad and spent the rest of his life in a mental hospital. The young Lovecraft lived with his grandfather who taught him to love reading – especially horror stories. Sadly, his mother became mad soon after his grandfather’s death, and died in the same hospital as her husband. Lovecraft’s marriage was unsuccessful (but friendly). He never had much money and did not become well-known for his books. He died in 1937 of cancer and hunger. Since his death, Lovecraft’s horror stories have become famous in the English-speaking world.